Tivoli is a historic hill town a short drive east of the Italian capital and one of the most popular destinations for day trips from Rome. 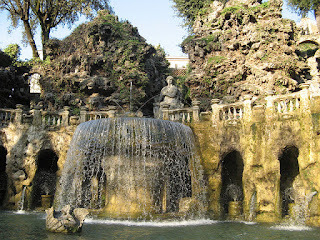 Since ancient times Rome’s rich and powerful had summer residences in Tivoli as the climate here is slightly cooler. Nowadays, the town has several historic villas with gardens that are open to the public, ancient temples and excellent restaurants. The late Renaissance Villad'Este is one of the main attractions built in the 1550s for Cardinal Ippolito d'Este when he became Tivoli’s governor. The palace has many frescoed rooms and a beautiful courtyard; however, it is the gardens astound everyone. Stretching over several acres, the terraced garden boasts over five hundred fountains, pools and cascades combined with grottoes, statues and spectacular views over the Roman countryside. Grand, large and small fountains of every shape are dazzling, so take your time to admire their elaborate details. 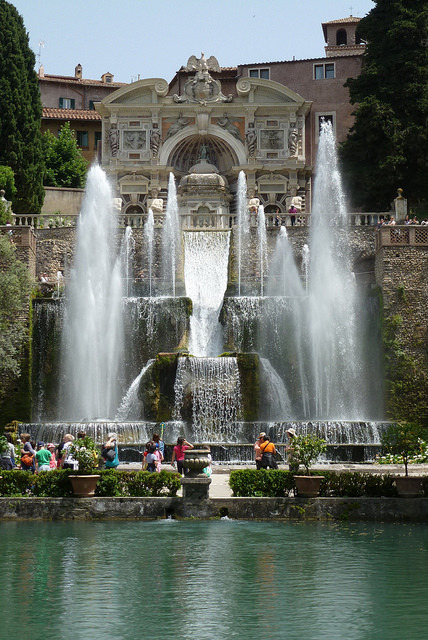 The intricate Fontana dell'Organo has a water-powered organ with water cascading into large pools; the fountain Rometta ("the little Rome") is a miniature reproduction of the Eternal City; the Fontana dell'Ovato is made in such a way that you can walk behind the jets of water. 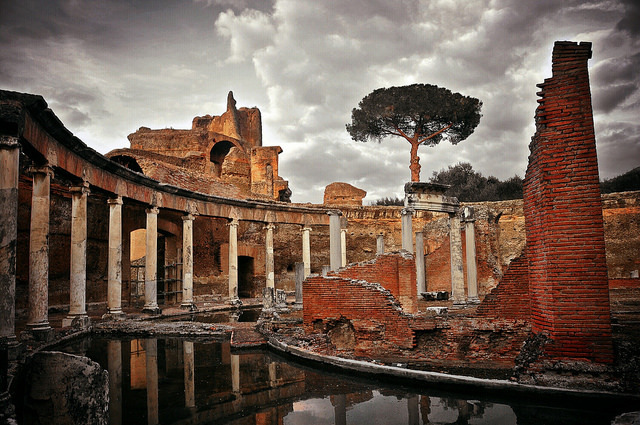 Another attraction in Tivoli is the Hadrians Villa, spectacular ruins of the Roman Emperor Hadrian's impressive summer residence. Although it had been savaged, looted and left to decay for many centuries, its splendour and grandeur are still undeniable. Sprawling over a staggering 250 acres, the Villa had lakes, fountains, libraries, baths, temples and gardens. The complex was built in the 2nd century AD by the well-travelled Emperor Hadrian, who wanted to reproduce the best architecture and sculptures that he had seen in Greece, Egypt and other countries. You will need a few hours to explore and wander through the site without rush. The small model near the entrance gives an idea what the residence looked like in Hadrian's days with palaces, several baths, state rooms, theatre, temples, libraries, and living quarters for the emperor's court and slaves. A significant part of the estate has not been yet excavated but you can see beautiful mosaics, fountains, colonnades, and statues. Photos via Flickr: Paula Funnell, Filip Maljković, Giampaolo Macorig. 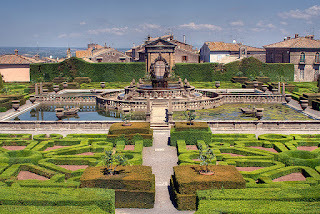 The small charming town of Bagnaia, just over an hour drive from Rome, is famous for majestic 16th century Villa Lante. The name is somewhat misleading as there is no grand villa to speak of but it is the garden, one of Italy's finest Renaissance gardens, that attracts visitors. 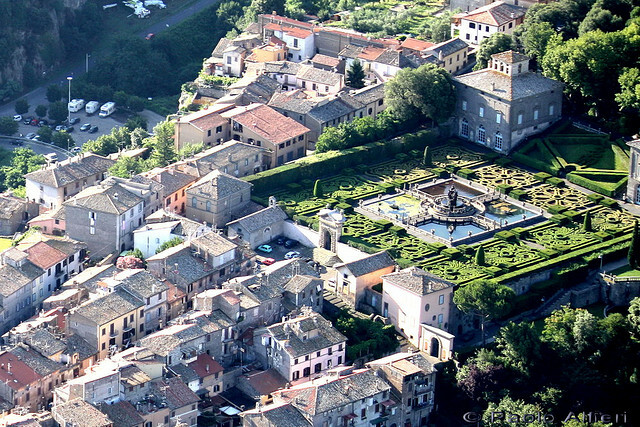 The rich and powerful created these pleasure grounds over a period of time as the property came with the title of Bishop of Viterbo. At the beginning of the 16th century, Cardinal Raffaele Riario, famous for inviting Michelangelo to Rome, built a wall to enclose 22 hectares of land putting a foundation of what later became Villa Lante. Cardinal De Gambara, who had a penchant for outdoor living and al fresco dining, commissioned the main works. Styled as a formal Italian garden, Villa Lante has many spectacular water features: the best hydraulics experts oversaw the construction of lavish fountains, grottoes and canals. 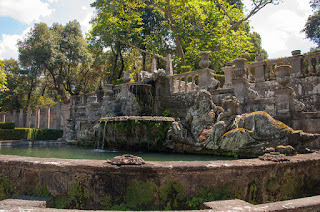 Fontana dei Mori, Fontana dei Lumini, Pegasus Fountain, Fountain of the Deluge have tiered basins, elegant cascades and jets of water, some of them controlled via remote switches to amuse the guests with the so-called “theatre of the water” that were de rigueur during Renaissance. On a hot summer day, it is wonderful to walk through the garden’s terraces enjoying the views, listening to the water spurting, trickling and streaming over the sculptures of river gods and mythical creatures. The two small twin buildings, the Gambara Casino and Montalto Casino, on each side of the garden have lovely frescoes and period furnishings. The noble Lante della Rovere family owned the Villa for three centuries until 1933. Although it remains a private property today it is open to public. 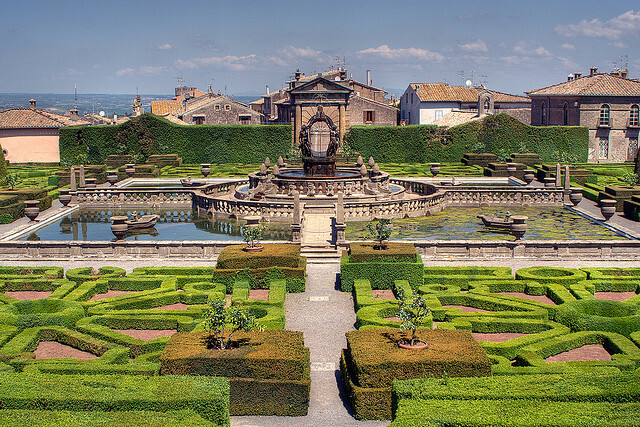 A visit to the Villa Lante combined with a stroll around the historic town of Bagnaia makes for a great day trip, away from the noise and heat of Rome. Photos via Flickr by: Paolo Alfieri, Roberto Ferrari, Pavlo Boyko.